Planning your Hong Kong flight? 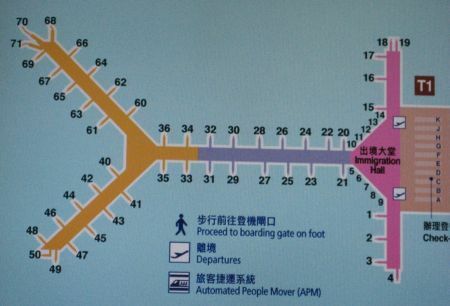 Here's the Hong Kong airport information you need. Here's the essential Hong Kong airport information and things to know before you take off to explore the city of life and its tourist attractions. Hong Kong Flight airport has been ranked as one of the busiest airport for international air cargo since 1996. It is also known as Chek Lap Kok Airport and included in the list of the top 30 airports in the world based on passenger numbers. 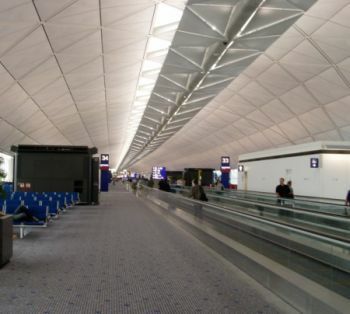 Wonderful view inside Hong Kong International Airport that you'll experience during your Hong Kong Flight in one of the world's great airport. Hong Kong International Airport flights were mostly in Cathay Pacific Airways which is based in Hong Kong and offers scheduled passenger and cargo services on its wide-bodied aircraft to over 92 worldwide destinations. Save time and money by booking at Hong Kong airport transfer shuttle before you get there! You will be met by an English speaking representative at Hong Kong's Chek Lap Kok Airport, and transferred to either your Hong Kong or Kowloon hotel or the Ocean Terminal. This is the ideal way to start your holiday or business trip. Choose between a shared vehicle transfer (from 7:00am to 11:30pm only), and your own private vehicle transfer (24 hours a day). Your Hong Kong Flight - Upon arrival in Hong Kong and before connecting to a flight in Asia, or a long haul flight to Europe, you should come and experience a pleasurable stay in The Travelers' Lounge before continuing your journey. A hot shower after a long flight is the first facility transit passengers must enjoy to hush away the fatigue and rejuvenate yourselves. Regal Airport Hotel Hong Kong (5-star hotel) - The Regal Airport Hong Kong is adjacent to the Hong Kong Airport, and provides guests with easy access to many area attractions. The business and shopping districts of the city are just over twenty minutes from the hotel. Other attractions include the Asia World Expo, Disneyland Hong Kong, Sky City Nine Eagles Golf Course, the Po Lin Monastery, and the Giant Buddha. The Regal Airport Hotel Hong Kong provides guests with a complimentary shuttle to and from the city center. The airport is directly connected to the hotel via a walkway. There are over one thousand rooms at the Regal Airport Hotel HK, which feature such amenities as soundproof windows, private bathrooms, direct-dial telephones, high-speed Internet access, air-conditioning, minibars and refrigerators. Also available at the hotel are deluxe and cabana rooms, which feature upgraded amenities. Guests will be able to make use of a hotel spa, which features massages and body treatments. The Regal Airport Hotel in Hong Kong also offers such amenities as a swimming pool, a fitness center, six restaurants, 24-hour reception, and a ballroom. 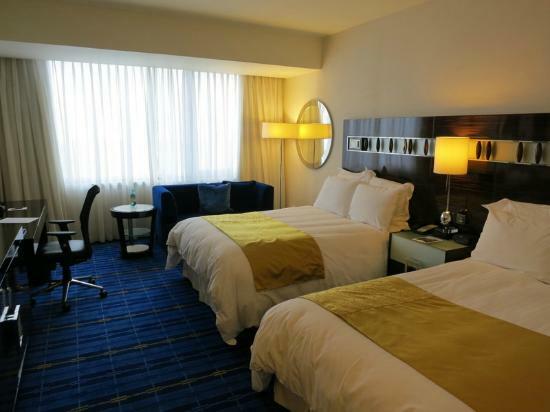 Book a room at Regal Airport Hotel Hong Kong. Hong Kong SkyCity Marriott Hotel (5-star hotel) - This is among the providers of Hong Kong accommodation that are located very close to Disneyland. The Hong Kong Skycity Marriott is proximate to other sites, as well, including the Asia World Expo, to which the hotel is attached. This hotel offers guests a shuttle to both Disneyland and to the nearby Hong Kong International Airport. Hong Kong itself has extensive public transit, including trains and trams that run throughout the city. There are 5-star accommodations. Among the in-room amenities available to guests of the Skycity Marriott are Internet access via a wireless connection, safes, minibars and rooms with expansive views. There is room service available day or night. This hotel has shops onsite. There is also a coffee shop where guests may get an energizing drink and a light snack. The hotel has fitness facilities and massage services are available, as well. There are business services available to guests of this hotel. There are several restaurants located at this hotel. 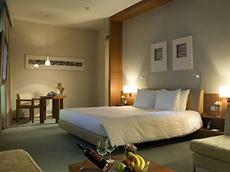 Book a room at Hong Kong SkyCity Marriott Hotel. a restaurant, a bar, a swimming pool, a fitness center, live Jazz music, a business center, currency exchange a salon, and a sauna. The Novotel Citygate Hotel provides guests with complimentary car parking, a shuttle to and from the airport, which is five minutes away, and bicycle rental. A rapid transit station is also nearby. Guest will find many amenities at the rooms of the Novotel Citygate Hotel Hong Kong, including satellite television, wireless Internet access, hairdryers, minibars, and air-conditioning. 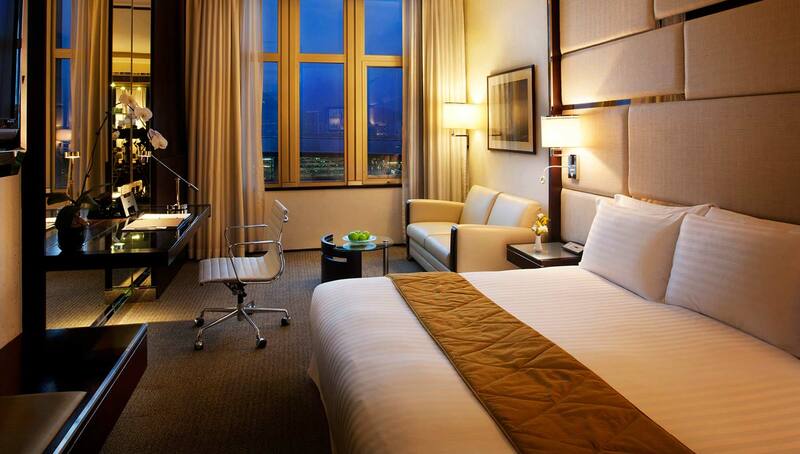 Suites and executive rooms are also available. The Hotel Novotel Citygate Hong Kong is conveniently close to the airport and within minutes of area attractions. The accommodations offer modern amenities and contemporary decor. Book a room at Novotel Citygate Hotel Hong Kong.